We started our day with a hearty breakfast at the hotel, Kasbah Ben Moro. It will be a long way to Marrakech, with several stopovers. Loaded all our stuff on the vehicle and we were all set to begin the journey. 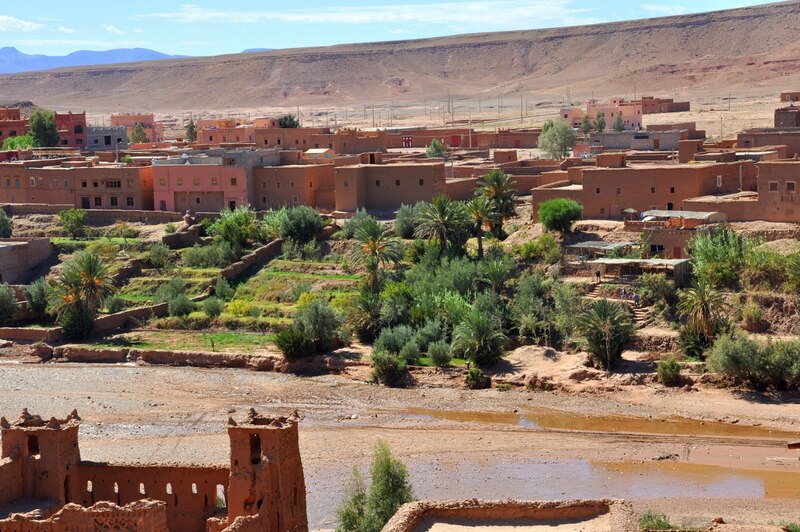 We were heading to Ait Ben Haddou, a UNESCO World Heritage Site since 1987. 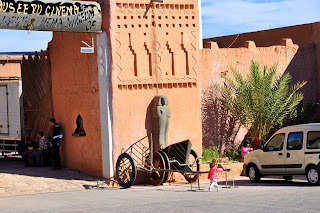 But before that I requested a stop somewhere as most of us were running out of Dirham. Mostapha told us that we will go to a bank in Ouarzazate (Wazazat). I have read about Ouarzazte and its famous movie industry. 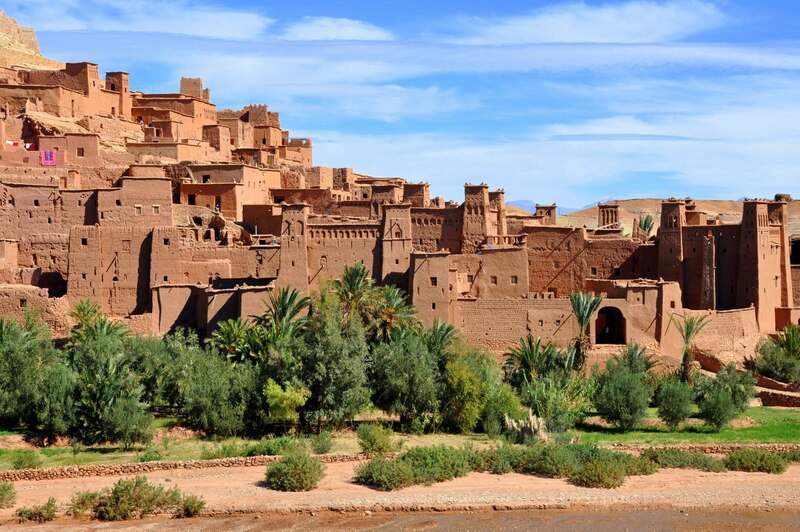 Ouarzazate is a valley at the foot of Atlas Mountains. 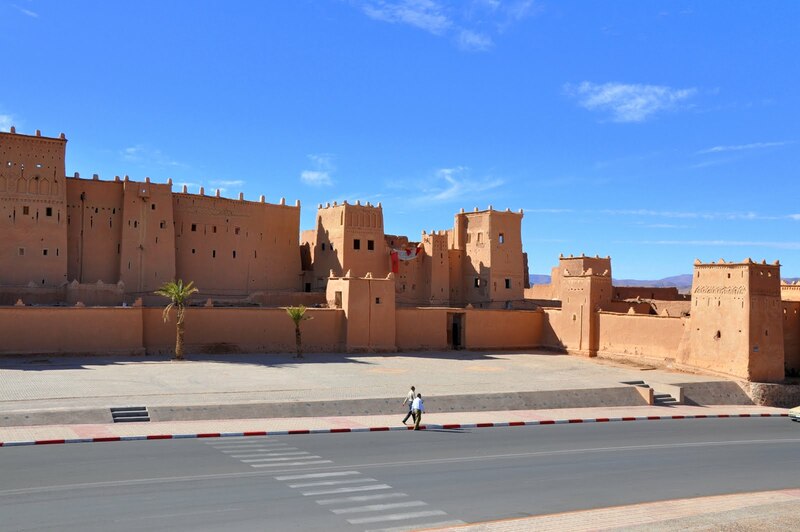 Apart from being the film capital of Morocco, the desert town is a place where travelers stop to stock up their provision for desert trek. 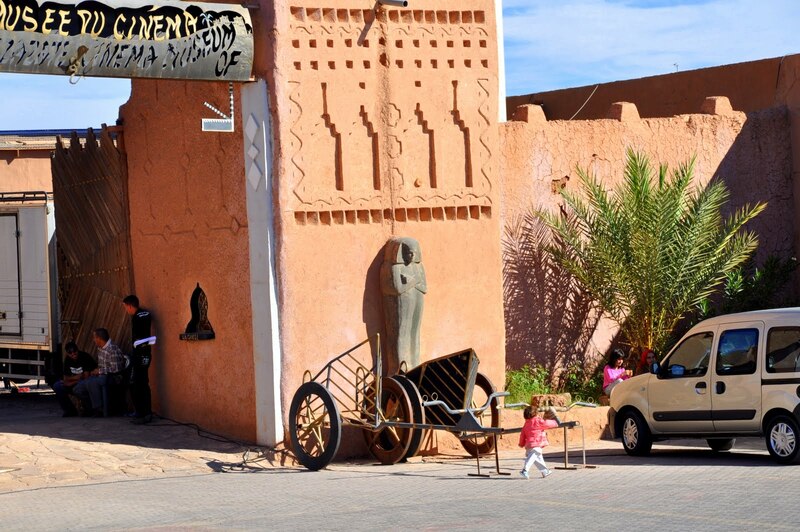 Just a glimpse at a row of shops on the main street, one can tell that this is an expensive place. 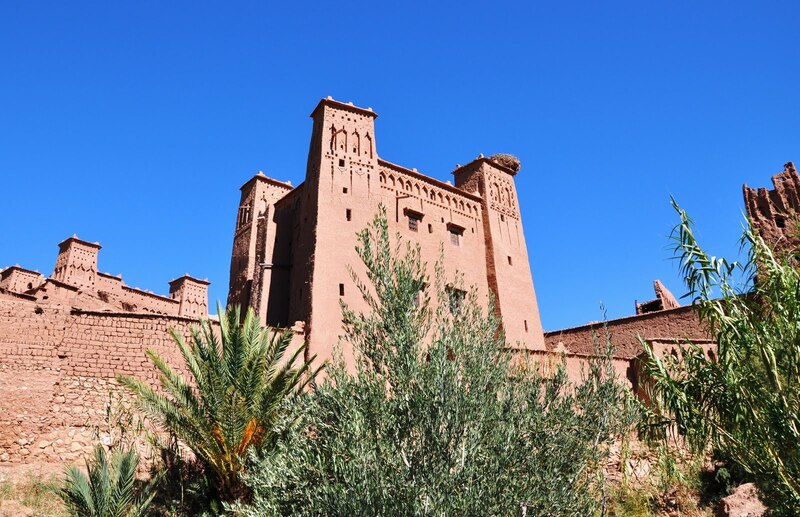 The town is clean and the film studios, huge fortress and museum in the town are among the impressive sights in Ouarzazate. 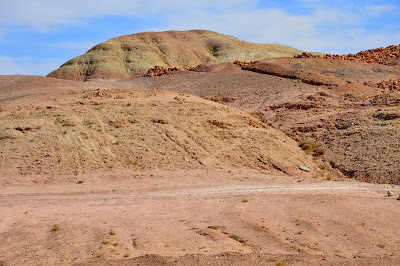 There are some interesting places to visit around this town but we haven't got much time. Ahmed stopped us right in front of the bank, we buzzed the door bell and was allowed to enter. This is one of the peculiarity about banks in this country - you don't get to enter or exit the banks freely! We had the same experience in Fes. We changed some Euros and GBP to Dirhams but careful enough not to have too much in hand as they are not tradable outside the country. 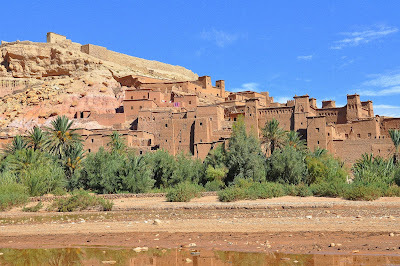 After taking some pictures along the road we headed to the photogenic Ait Ben Haddou which is about 33 km away. 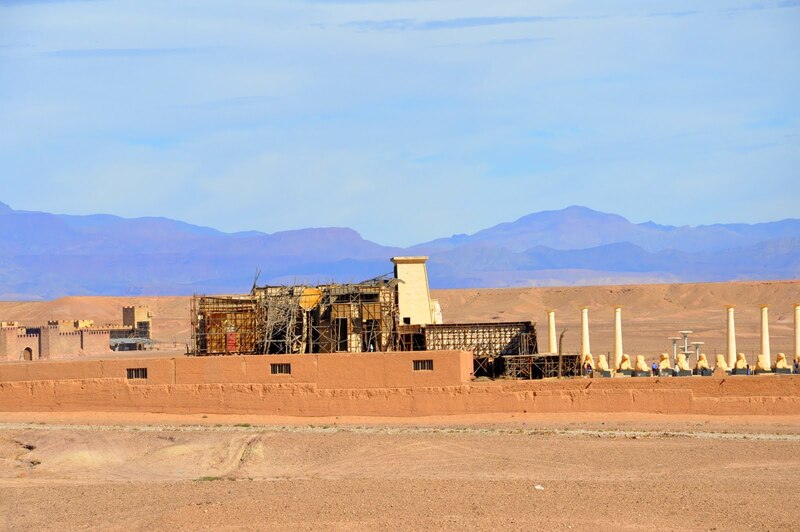 Ahmed made few stops as we got closer to Ait Ben Haddou to allow us to take some beautiful pictures of the ochre Ksar (fortified city) from a distance. We finally stopped in a little village by Ounila River. 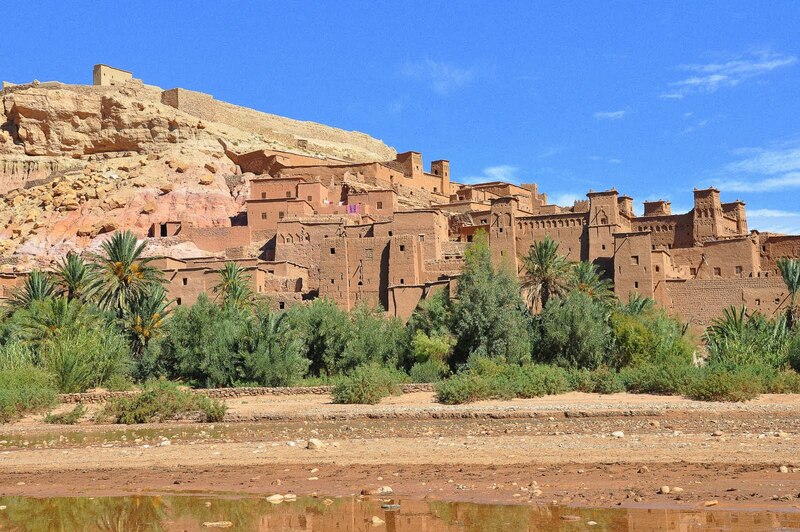 From the other side of Ounila River, Ksar of Ait Ben Haddou looks very impressive, parading its earthen architecture of Southern Moroccan from the 17th century. 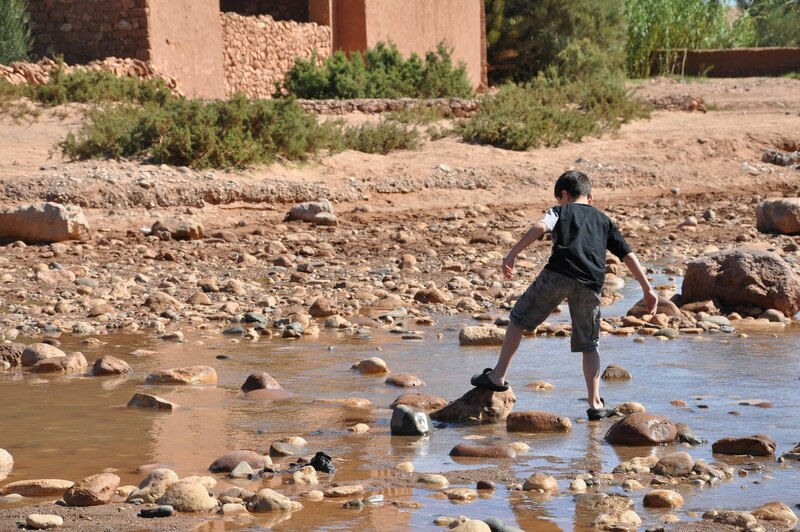 Half of the fun is crossing the stony muddy river. 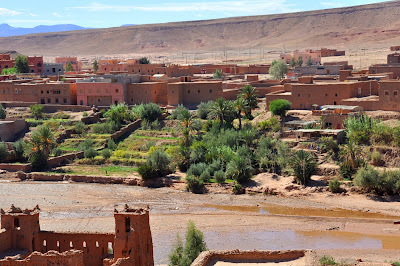 To get to the Ksar, we had to cross Ounila River where the water level would change according to the season and weather. We were lucky that day as the river was almost dry but a little bit muddy. 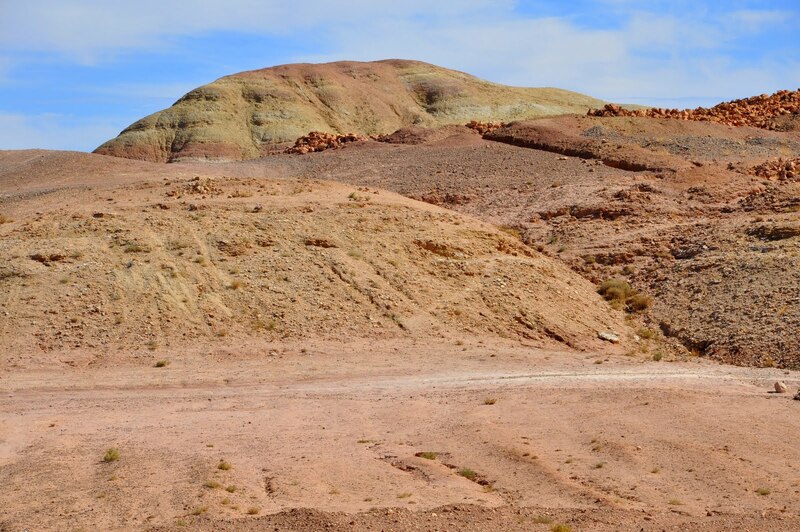 The good thing is we don't need a donkey or a horse to cross over. That save 20 Dirham! To enter the Ksar you need to pay 10 Dirham. 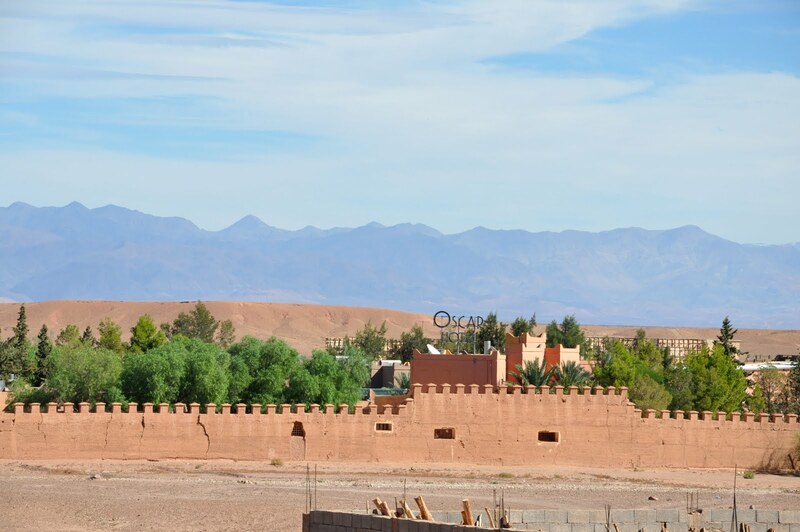 When we arrived, some Moroccan workers were busy working in some parts of the Ksar for restoration. 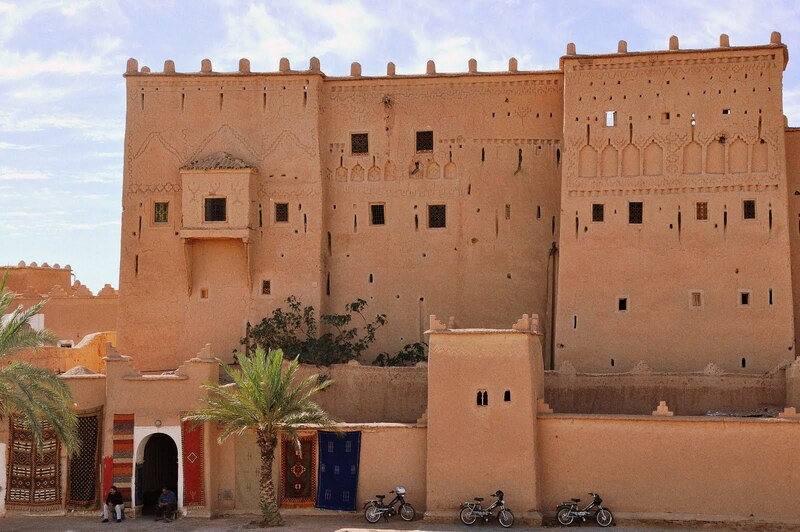 It is a wonderful feeling rambling every corners of the fortress - feels like you are walking through middle ages! 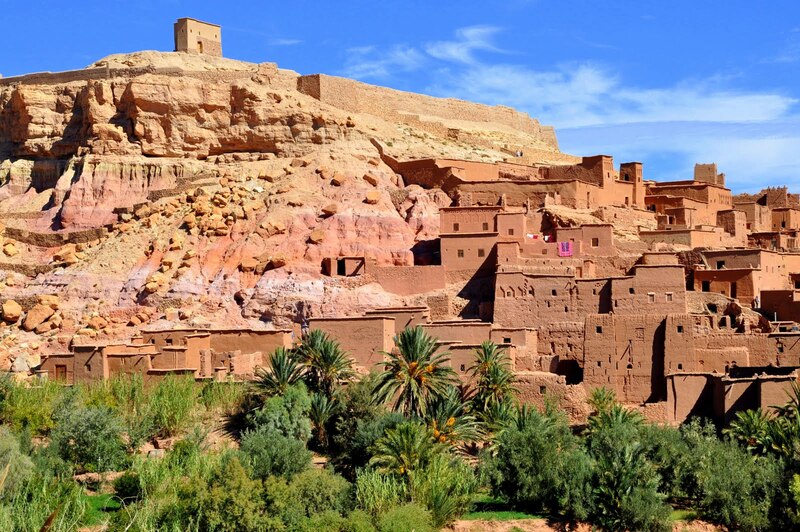 Seen as a perfect ambiance for movie location, several Hollywood movies have been filmed in Ait Ben Haddou. 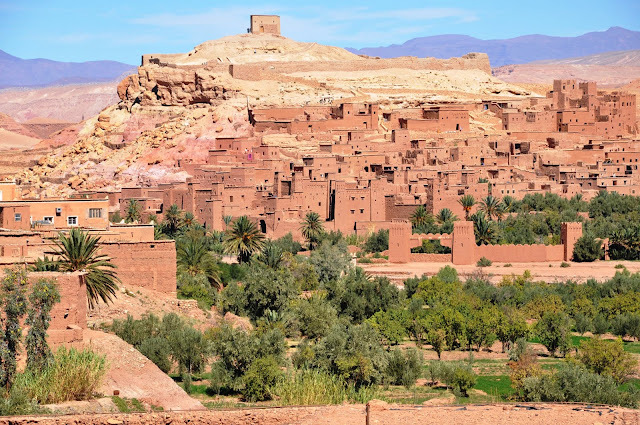 Among the famous were: Lawrence of Arabia (1962), The Message (1976), The Jewel of the Nile, The Sheltering Sky (1990), Kundun (1997), The Mummy (1999), Gladiator (2000), Alexander (2004) and Kingdom of Heaven (2005). 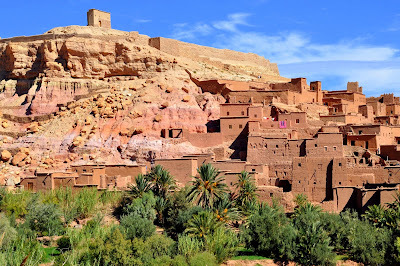 After 2 hours of climbing the fortress and wandering around the place, we could feel the intensity of the heat and it was about time to leave for our next destination Pasha el Galoui. Wonderful presentation of story and photos! Glad you like the photos! 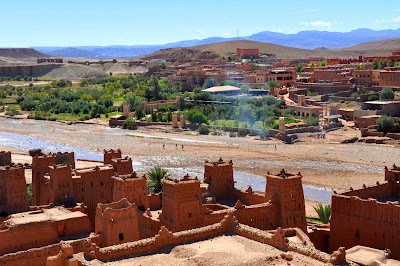 Ait Ben Haddou is just simply amazing!